This recipe for super easy salmon tartare was definitely inspired by my enduring love for all things sushi. Really really good wild-caught salmon mixed up gently with avocado, scallions, sesame seeds and a few other things to hold it together. A little bit spicy, a little bit creamy, a whole lot of delicious. And as easy as slicing up the salmon and avocado and the scallions and mixing them all up together – it’s almost not fair to call it an actual recipe. So whether you want to wow your friends with show-off appetizer, or serve it up on a regular old Tuesday night…let’s make it! The last time I made this was just a week or so ago, because I had just finished eating my way through the state of Texas. Utterly amazing barbecue, a delectable lunch of shrimp and noodles with jalapeño pesto at the most adorable restaurant ever, and this. 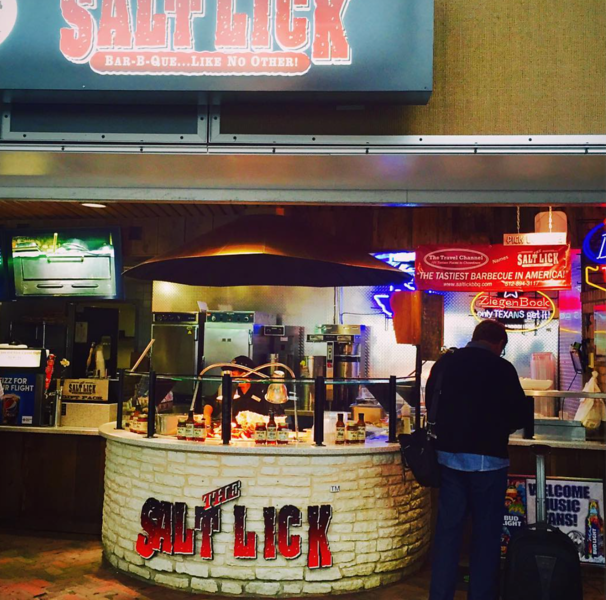 Yes, I had a chopped brisket breakfast burrito at The Salt Lick at the Austin airport. Don’t judge me. And because I can’t resist, I also got the chance to hang out with these two beautiful women. Both immensely talented and a ton of fun. The one on the left makes me smile Every Single Day, and the one in the middle (in addition to selling more than 11 million records) is also the author of this adorable forthcoming book. So between the two of them, it was one delightful Texas evening. One that also included More Barbecue. So when I got home, I was all about having pure protein and healthy fat and veggies and getting myself back on the straight and narrow…but only if it meant I still got delicious eats. Enter this easy salmon tartare, which includes all those good things. I served it up with some endive leaves for scooping it up, but you could also serve it with crackers or torn toast or even spooned over a bowl of sushi rice. One way or the other, you need to add it to your Must Make Soon list, well…soon! Put salmon, avocado and scallions in a bowl and gently mix. Combine soy sauce and oil and pour over salmon mixture. Stir again. Add sesame seeds and stir once more. This can be spooned into a bowl and served that way, but if you want to get the look that is in the picture, pack it into a smooth sided bowl and then invert it onto a plate, patting any stray pieces back in place. One way or the other, sprinkle with a few more sesame seeds and serve! I absolutely love sushi, so this is right up my alley! Such a pretty tartare, Kate! I love the salmon flavor and how easy this is to whip up! My husband would love this, too! Aaaah!!! You hung out with Kelly!! Was she cool? I love her music. Having a fan moment here. I’m also a HUGE fan of all things sushi (in fact, I’ll be getting it for lunch today), so this is a fantastic dish. Woohoo! Kelly is a sweetheart – we had the nicest dinner. Hope your sushi was delectable, Mir! Maybe this will make a salmon convert out of you, Grace! Hey, you never know! It looks so healthy and delicious! I love salmon and this recipe is worth trying! Thanks Zaria – hope you love it! Umm eating your way through Texas sounds like the best thing ever!! I’d need to do that in stretchy pants though, because I would totally eat my weight in all the things. 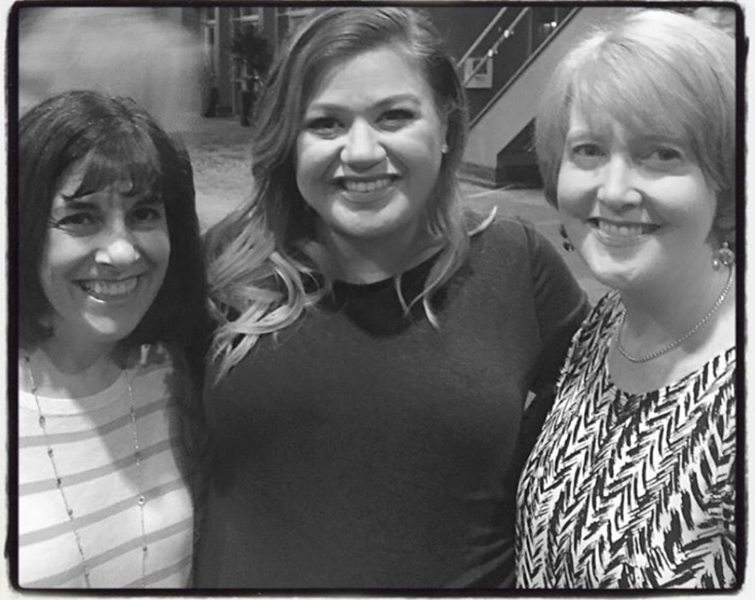 ;) Plus you met Kelly Clarkson?!! Whaaaa? Jealous!! I digress… and pick my jaw up off the floor. 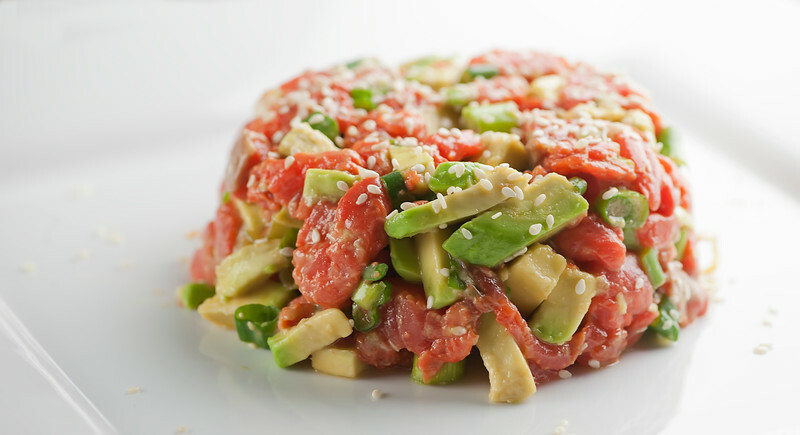 My love for sushi and raw fish runs deeeeep and I LOVE LOVE LOVE tartare!! When I saw this on twitter I immediately thought, “Need. Now.” Loving this salmon tartare, Kate! Fresh and completely delicious! This salmon tartare does look easy to make. I’ve always been intimidated by tartare’s but I think it’s finally time I face my fears. Tartares are the easiest – you will love it! Salmon Tartare is delicious and your recipe looks so easy. I have to give it a try! Thanks Miriam – I hope you love it! I bought the salmon for this tartare at a fish market, but have also made it many times with salmon from the fish counter of my regular grocery store. I always let the person behind the counter know if I’m planning a raw preparation and ask for their suggestions. Also, it is recommended by most that you buy salmon that has been previously frozen, as freezing kills most of the parasites that could pose a problem. A lot of the fish you’ll find in the supermarket was frozen at sea (FAS), so this issue has usually already been addressed by the time you’re buying the fish. Bottom line? If you plan to eat raw fish (or beef), buy it from someone you trust. Sorry for the long-winded explanation…I hope you like the tartare! Place salmon in a medium bowl. Add cucumber and the next 9 ingredients and toss to combine. Season tartare to taste with salt and pepper. Transfer tartare to a bowl and serve with chips.